At some point, the Irish car bomb drinks from your youth lose their appeal. However, that doesn't mean you have to give up enjoying the combination of Guinness beer, Irish whiskey and Baileys Irish Cream liqueur. 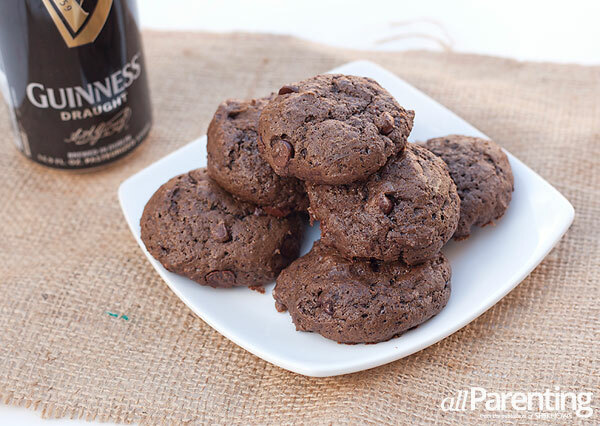 With these Irish car bomb cookies, you get the same boozy flavors in a much sweeter form (and without the hangover). Now that's what we call the luck of the Irish! The Irish car bomb drink is an American beer cocktail. Basically, it's a glass of Guinness beer that has a shot glass filled with half Irish whiskey and half Baileys Irish Cream liqueur dropped into it. The Guinness bubbles after the shot glass of booze is dropped in and the drinker is supposed to chug it back as quickly as possible. While these drinks might have been fine in the college days, there comes a point in life when it's time to stop chugging Irish car bombs. 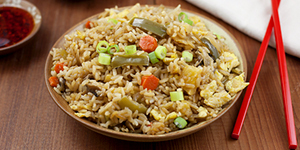 However, that doesn't mean you have to give up on the combination of flavors. 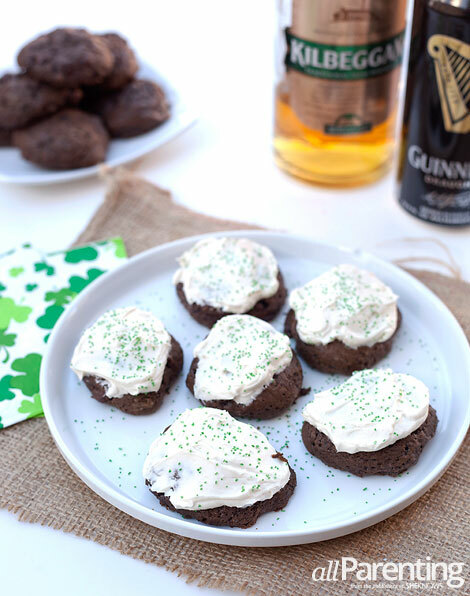 These chocolate Guinness cookies with Irish whiskey Baileys buttercream icing are a sweet, boozy treat that you can enjoy on St. Patrick's Day (minus the day after hangover). Combine flour, baking soda, salt and cocoa powder in a small bowl and set aside. In a medium bowl or the bowl of a stand mixer, add butter and sugar. Combine until smooth and creamy. Add Guinness beer and blackstrap molasses and mix to combine. Add the dry ingredients to the wet mixture and combine until fully incorporated, scraping the sides of the bowl as needed. Using a small muffin scooper or a spoon, place spoonfuls of the dough on a baking sheet about 2 inches apart. Bake for 10 to 12 minutes, or until fully cooked on the inside. Let cool for a few minutes and then transfer the cookies to a cooling rack to cool completely before icing with the Irish whiskey buttercream icing. Place the butter in a medium bowl. 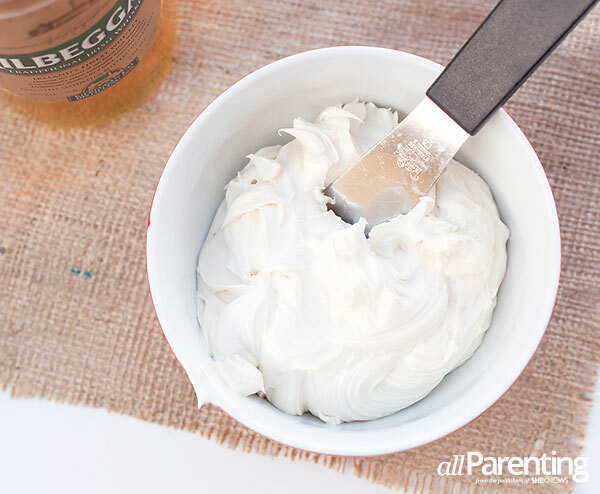 Add in 1/4 cup of powdered sugar and cream together using a hand mixer. Add in more powdered sugar, 1/4 cup at a time until the icing is as sweet as you would like. Be sure to completely mix the icing after adding each 1/4 cup of powdered sugar. This will help prevent lumps. Add in the Irish whiskey and Baileys and blend once more to combine. The icing should be light and fluffy. Frost cooled cookies and store any leftover icing in the refrigerator. Note^ If sharing with kids, either leave the icing off the cookies or use milk in place of the Irish whiskey and Baileys in the icing.